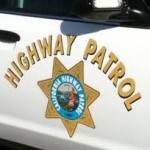 A woman riding a bicycle died Friday afternoon in a crash with an SUV near Paso Robles, according to the California Highway Patrol. Shortly after 3 p.m., a man and a woman from out of town were riding bicycles on Adelaide Road near Nacimiento Lake Drive when they were struck by a Chevy Tahoe. The woman died at the scene and the man was transported to a hospital with severe injuries. The driver of the SUV, a local man, allegedly dropped his phone on the floor of his Tahoe and attempted to pick it up. He then swerved to avoid another vehicle and hit the cyclists. When did cell phones become more valuable than human life? At some point you would think that someone would come up with a method of blocking cell phone transmission from a moving car. It would probably rival the seat belt and airbag. …..but would not have helped in this case! Nowhere does it say he was “using” the phone for anything that “blocking” would prevent. Topper, don’t you think that if the phone fell to the floor that he was using it before it fell? For some reason, this fact seems to go unappreciated by many young adults of my generation. I don’t claim to understand why, and I take my road responsibilities seriously by putting my phone away in the car. I would like to see a new approach implemented by websites like http://www.itcanwait.com/, which is the site dedicated to drivers who have pledged to not text while driving, because their current ads are not sufficiently getting through as indicated by the frequency of these accidents. To the family of the victims, best wishes upon facing this tragedy. I hope they will be able to forgive the driver in time, and that he will take life’s risks more seriously in the future. Just be glad LEO’s are still allowed to text and talk without hands free while driving. They are not allowed to unless it is work related. Texting is NOT covered by the exemption. That being said, try find a deputy that is NOT talking on their phone. Not in this county. They ALL do. Pretty pathetic double standard if you ask me. I guarantee you they aren’t talking to their dispatch trying to get details on a call. WHY does this keep happening to bicyclists on our roads? What needs to be done? I am heartsick for the family of the woman killed. No protection from stupidity! of drivers. Bicyclists be careful out there, and wear bright clothing, LED lights, anything to draw attention to yourselves. I’m so sorry….I feel very sad. FV – All the bright clothing, LED lights, bells or whistles are no protection against an errant driver and a ton of unforgiving steel. The pedestrian and/or bicyclist is going down. Physics. Sorry. I hope the CHP checks his phone records. He could have been texting or dialing (same thing). I think there should be a law that the cell phone companies disable phone service when the phone is moving faster than 15 mph. This could easily be done with software. Too bad for those who (think they) can safely use their phone while driving. Too bad for passengers. The only place where the phones can legally be used would be on trains and busses (the trains and busses can have a legal repeater installed). The bicyclist (and many others) would probably be alive and well today if we had this law. Got a little more info on the Tribune. Keep in mind we are judging from a distance without all the facts, but the T says he dropped his phone once, was reaching for it when he swerved to miss the car turning left. He then dropped his phone again and swerved and hit the bicyclists. 18 years old. You’re going to have to do a good job convincing me he wasn’t on the phone either texting or talking. Wait. 18 years old. He wasn’t talking. My bad. There was no mention of “using” his phone, only trying to pick it up. Why punish me for committing an act that is totally unrelated to the cause of this collision? Topper, that will be the argument against disabling cell phones when the phones are moving faster than, say 15 mph. Drivers who use their phone responsibly and passengers who are not driving would be punished. New cars with built in wifi hotspots would have the hot spots rendered useless. But all that would have to be weighed against the very real danger imposed by so many people talking and texting while driving. I have personally seen an accident by someone who was texting. He passed me in the fast lane and was weaving. I thought he was drunk but as he drove by I saw he was looking down at his phone while driving. He rolled over about 10 miles down the road (just past El Capitan State Park). Fortunately it was a solo accident. I am an avid bicyclist. I also have a wife and children who drive, ride bikes, walk by the side of a road, etc. I have nieces and nephews that bike ride and run by the side of the road. There are many people like me. Maybe even you. I would give up my right to talk on the phone while I drive for increased safety. If there are enough people like me, it might happen. If not, it won’t. After reading ALL the comments, it’s clear that a good portion of people exemplify the notion of NO ACCOUNTABILITY. It’s always someone else. How in the world can anyone rationalize the that the bicyclist was at fault? Unbelievable! Well, the corrective actions so far are 1) hope for technology or law to eliminate phone use in moving vehicles or 2) wear an orange vest and a light. These unforgivable deaths will continue to occur until people understand that the road is a shared resource, they need to drive slow enough to be able to stop for ANY hazard, and they need to move far away, across the center line, to be safe when passing bikes. You are not sensitive Mr. Porcupine or whatever your name is. People should be safe no matter where they are and what they are doing! I think there needs to be a law that you have to lock your cell phone up in a container out of reach from the driver, like a handgun here in California, because it sounds like they are killing far more people than folks who grab a gun while driving and shoot a random person. Absolutely! And the only way to do that is to ban people.